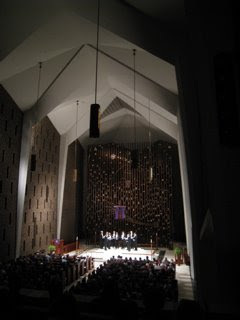 After concerts in North Carolina, Virginia, and Maryland, we came to Connecticut, where our Trustee Dudley Roski organizes an annual concert at St Mark's in New Canaan ( great acoustic!) which benefits the Youth Choral Festival held the following day at Darien High School. One of the great things about this annual concert is that most of the students who will participate in the festival are there.